Anyone who puts the time and effort into making sure their summer landscaping grabs the attention of those driving by understands the frustration of pesky weeds. Some weeds just seem to have a supernatural resiliency, no matter what we do to try and destroy them. While a wart on your foot does not have supernatural powers, it can sure be a pesky and stubborn problem to get rid of. They aren’t only unsightly, but also painful, depending on their size and where they are located. Once warts take root, they may stay for a while. Here are some tips to help put your worries at ease. Anyone can get a wart, including the ones that happen on the heels or balls of your feet, which are called plantar warts. They develop when the human papillomavirus (HPV), which thrives in moist, warm environments such as locker rooms and pools, enters through a tiny break or cut in your skin. Even with great measures to protect your feet, there can be a time when you don’t know of a weak spot in your skin and happen to be unknowingly exposed. You might notice a small rough patch of skin, little black pinpoints, and tenderness when you walk on it. Since, the virus can spread from the initial site and cause more, quick action is important! There is no reason to fear: Most of these unsightly bumps go away, although it may take some time. There are prescription strength medications containing salicylic acid that can work to fight the wart a little at a time. Surgery to remove the lesion can also be performed. We know this can be a frustrating problem, but we are here to help get your feet back in shape. Call Harvey R. Danciger, DPM, at (760) 568-0108 at our office in Palm Desert, CA. 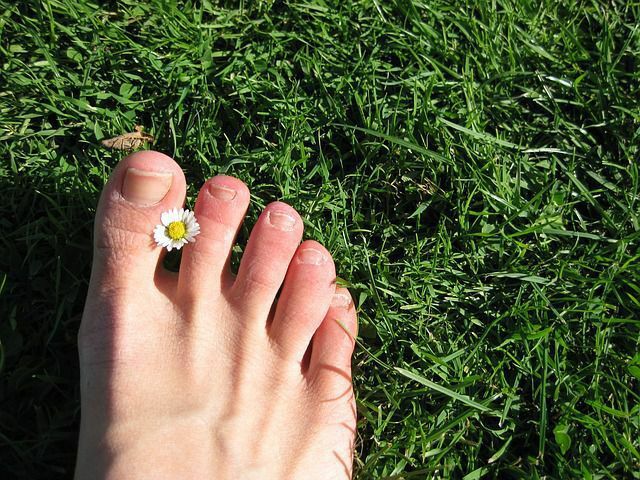 Your summer fun should not be ruined by a foot problem – contact us today!